Each year, about 74 million Americans engage in recreational boating, according to government research. Most boating experiences are positive – the stuff memories are made of. But the most joyful times quickly can turn deadly if boaters are not vigilant about safety – at all times. Hypothermia can set in if a person is exposed to water less than 70 degrees for too long. The body cools 25 times faster in cold water than in cold air, according to the Personal Flotation Device Manufacturers Association. In June 2015, a Utah doctor, his two daughters and one of their friends died in the frigid waters of Bear Lake, about 120 miles north of Salt Lake City, after their boat capsized. Lance Capener reportedly swam to shore with his wife, Kathryn, only to perish when he went back for the girls. Two other teenage girls survived by massaging cramps out of each other's arms and legs and praying while waiting for help to arrive. All were wearing life jackets, but their body temperatures plummeted in the 53-degree water and 70-mph winds. Life jackets are the lifeblood of safe boating. The U.S. Coast Guard reports 78% of boating deaths in 2014 were due to drowning, and 84% of the victims were not wearing a life jacket. The good news is, comfortable – and stylish – Coast Guard-approved life jackets are widely available. The Wear It campaign promotes boating safety by encouraging boaters to wear life jackets all the time. The campaign kicked off with National Safe Boating Week, May 20-26, 2017. Before setting sail, review a pre-departure checklist to ensure you have everything you need in your boat, including a tool box and first-aid kit. Once on the water, use common sense. In a split second, a situation can arise or the weather can turn. If you notice storm clouds, a sudden temperature drop or wind speed increasing, the best advice is to play it safe. Get off the water. The National Safe Boating Council promotes safer recreational boating through education, outreach and training. In 2015, Coast Guard data indicates 71% of deaths occurred on boats where the operator had no boating safety instruction. By comparison, 15% of deaths occurred where the operator had received a nationally approved boating safety education certificate. For more information on how to keep you and your family safe while on the water this summer, contact us at The Insurance Centers to learn about a coverage plan that will best suit you. 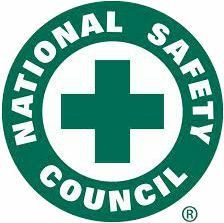 Article courtesy of the National Safety Council.